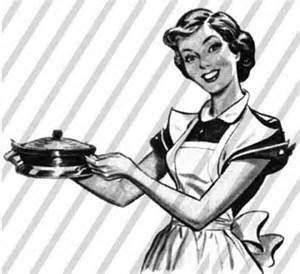 It’s not really in keeping with the Olympic ideal – striving for perfection, pushing your mind and body to the limit and all that – but it occurs to me that the best way to survive motherhood and indeed home maintenance is to lower one’s expectations of what’s actually possible. We all have our own tactics, strategies and goals, and achievement means something different to each of us. So Chris Hoy’s bling-filled trophy cabinet is my filled-and-emptied dishwasher and Mo Farrah’s golden double is my survived the supermarket with all kids accounted for and sanity in tact. Sure, Jessica Ennis may impress as the ultimate athletic multi-tasker, completing seven events in two days, but has she ever matched my own PB of breastfeeding while playing Hungry Hippos? I think not. There is certainly something in that depressing old adage, ‘the pessimist is never disappointed’ if only because it helps to end each day feeling like your successes outweigh your failures. But then in my line of work it probably helps to banish the word ‘failure’ from your vocabulary altogether. It also helps to re-write your To Do list with a few real sitters at the top. My personal favourites are: go to the toilet when you need to go to the toilet and put on clothes before leaving the house . Tick and tick again. I’m amazing, me! My advice? Learn to be satisfied when the ironing pile is at least concave. Glimpsing the wicker bottom of the washing basket is hugely over-rated and polishing surfaces until you can see your face in them only precipitates the need to apply make-up, which is in itself a dangerous diversion from the path of achievement. That said, I do look forward to a day when getting myself ready for a night out means more than merely changing my breast pads. You’ve got to have a dream.